Hugh became Chief Executive in April 2016. Before this, he was Director of Change at the Department of Energy & Climate Change, improving the Department’s efficiency and delivering financial savings. Other roles in the Civil Service included Chief Executive, Office for Renewable Energy Deployment at DECC, and Deputy Director of Low Carbon Business at the Department for Business, Innovation & Skills. Educated at the London School of Economics and Harvard University where he also taught from 1995-2000. Hugh was on the Board then Chair of Equinox, a charity providing services to people seeking to overcome alcohol, drug and mental health problems, 2002-2012. Maf joined RenewableUK as Deputy Chief Executive in 2012. He leads on business development, events, membership and technical issues for RenewableUK. Prior to that Maf worked at grid and regulatory consultancy Xero Energy, and for much of this time was seconded to the Department of Energy & Climate Change to work on Electricity Market Reform. From 2006- 2011, Maf worked as Deputy Chief Executive and Director of Scotland for the Sustainable Development Commission, acting as advisor and scrutiny body to the Scottish Government. 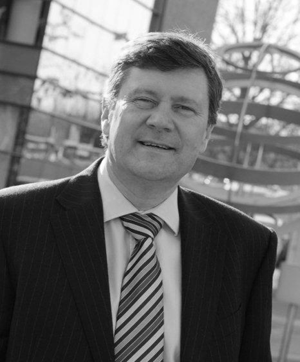 Between 2002-2006, Maf was Chief Executive of Scottish Renewables. Emma joined RenewableUK in 2016. She sets the overal strategy for RenewableUK's communications and policy teams. Before joining RenewableUK, Emma headed up Climate Change & Energy at the NGO WWF-UK, where she worked on issues like the international UN Paris Agreement on climate change, and a successful campaign to secure a phase out coal-fired power generation in the UK. Before WWF-UK, Emma worked in private consulting as an energy policy expert and in finance. She has an MA from the University of Oxford. Outside of the office, she is a mentor to young women in the energy sector, and is a keen competitive rower.